NOTE: This is long video — you may need to let it buffer (pre-load) for 10-20 seconds before playback. If that doesn’t work, let the entire video load, then hit the replay button. 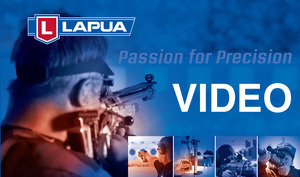 Share the post "See Lapua Rimfire and Centerfire Ammo Being Made"
So You Want to Be a Gun-Writer…. If you have always dreamed about making a living writing about guns, here’s your chance. The NRA’s flagship publication, American Rifleman, is looking for an Assistant Editor. This is a full-time gig. You get to test guns, write, edit, and even travel around the country a bit. What’s the catch? Well you may have to pull up stakes and move. This position is based at NRA Headquarters in Fairfax, Virginia. You can’t work remotely or tele-commute. American Rifleman, the National Rifle Association’s original Official Journal, is seeking qualified candidates for the position of Assistant Editor. 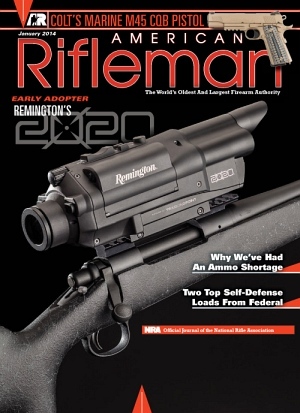 Job Duties: Provides editorial support essential to produce American Rifleman magazine, the American Rifleman Television Show and American Rifleman digital edition accurately, punctually, and in accordance with established standards and policies. Handles editorial preparation and production of monthly departments and daily web content as assigned, including: reviewing manuscripts, fact-checking, copy editing, assembling photo packages, writing captions and headlines, and proofreading. Proofreads departments, features and web content during each stage of editorial production, including checking links and page proofs of digital version of American Rifleman. Assists in compilation and production of monthly “Lock, Stock & Barrel”, “Opening Shot,” “Product Reviews”, and other monthly features. Coordinates “Official Journal” sections in multiple magazines. Sources photographs to be used in various media; writes photo captions; and may do assignment photography. The Position requires a BA in English, Journalism or Communications and 1-2 years experience on newspaper or magazine editorial staff. Shooting experience and knowledge are required, as is a broad interest in firearms and Second Amendment issues. The selected candidate must be eligible under Federal law to have access to firearms and ammunition. Working knowledge of electronic publishing is required. Basic photography skills are necessary. Extended hours and business travel are required. CLICK Here for Full Job Requirements and to Submit a Resume. Note, if you have production experience in the publishing industry, the NRA is also seeking a Managing Editor for Shooting Illustrated magazine. This job is also based at NRA Headquarters in Fairfax, Virginia. Share the post "So You Want to Be a Gun-Writer…."